USB 3.1 Gen 1 board-level cameras from the uEye LE family from IDS are available as variants with the use and control of liquid lens lenses. The cameras focus in milliseconds on different object distances – for millions of cycles, wear-free and without moving parts. This makes them particularly suitable for applications where the working distance changes frequently. With the models offered by IDS, the focus can be readjusted by software, using either the uEye Cockpit user interface or API. This allows users to change the focus even in applications where the lens can no longer be reached manually. 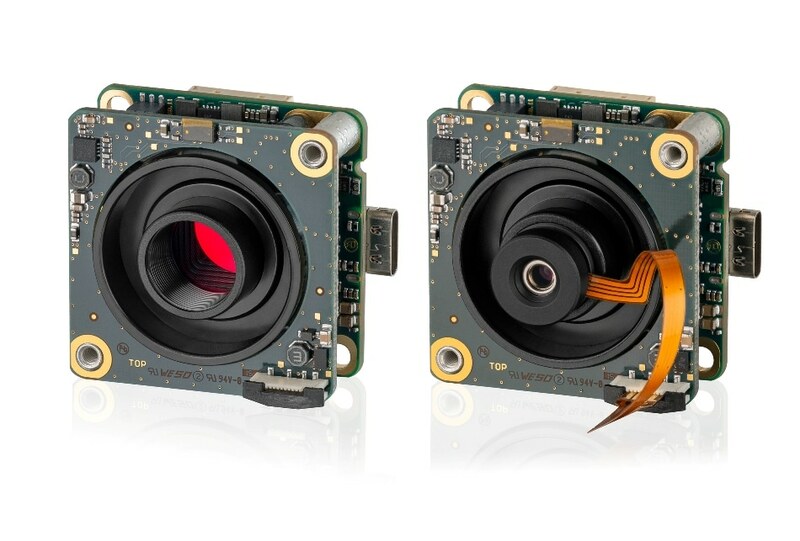 Currently, uEye LE AF ("Active Focus") board-level cameras with the 6.4 MP IMX178 rolling shutter colour or mono sensor from Sony or the 18.1 MP AR1820HS rolling shutter colour sensor from ON Semiconductor are available. Models with IMX265 (3.17 MP Global Shutter), IMX290 (2.12 MP Rolling Shutter) and the ON Semiconductor PYTHON 480 (0.49 MP Global Shutter) are planned. The models are equipped with S-Mount or CS-/C-Mount, a twist-proof USB Type-C connector and a 10-pin I/O SMD connector for GPIO, trigger and flash. At the same time they enable IDS-typical "Plug and Play". USB Power Delivery enables variable power to be supplied for peripheral devices at the I/O port. The board-level cameras are used, for example, in logistics systems (e.g. for parcel receipt and sorting), for tasks in the fields of microscopy and traffic monitoring or for installation in small medical or industrial devices.